Where Can You Buy Marula Oil? I’ve always heard about marula oil and it’s amazing health benefits. It took me quite a while to actually get my hands on some of this amazing oil! Since then, I’ve been loving it and use it nearly every-day for a personal and household uses. Most of us are so used to using conventional skin and hair care products these days. It takes a lot of convincing to get us to try something natural! The truth of the matter is that most of the products we use on a regular basis are loaded with harmful chemicals – reading up about even a few of them will most likely raise your eyebrows. Everything from formaldehyde to almost pure petroleum-based products can be found in a large variety of ‘off-the-shelf’ personal products. I’m not even going to start with the phthalates, sulphates, parabens, fragrances and other preservatives that you’re likely to find in your moisturizer or conditioner. So, if you’re using beauty products and personal products with the ultimate aim of bettering your complexion, hair or skin health – then using conventional products is simply not the way to go. Most of these chemicals wreak havoc on our hormonal balances, pour dangerous free radicals into our systems and can ultimately have the exact opposite effect on our skin, hair and health in general. Thankfully though, nature always has an answer for us and it’s generally a lot simpler than many of the man-made products we have at our disposal. Hence my over-joyous serenade of the humble marula fruit and the amazing natural oil that it produces. I’m going to explain how this oil works, why it’s better than conventional products in certain categories and how to get the most out of your oil. Let’s begin, shall we? What Is Marula Oil? Where Does It Come From? The Marula tree (or Sclerocarya birrea) is indigenous to the southern parts of the African grasslands such as South Africa, Zimbabwe, Botswana, Namibia, Malawi, Zambia, Mozambique, and Swaziland and is one of the oldest trees known to man. It’s existence dates back to as much as 10 000 BC (if not further) and has been revered and used by Africans for centuries as a food and in oil form as a preservative and health tonic. The fruit of the marula tree is yellowish to light orange in colour and contains a seed that is covered in thick, protective husk. In order to extract the oil from both the seeds in the centre and the outer husk (both provide natural oil), they are crushed either by hand or in a cold press system, which helps to extract the oil quickly and cleanly. However, it generally takes quite a long time to get a hold of the marula fruit. The trees have to grow to an age of around 7-10 years old. Then they start bearing fruit that is suitable for use in the production of oil. Because of the immense historical and cultural value of these trees, they are all protected by law. They are therefore not allowed to be cut down. This means that they can live for well over a hundred years. They will bear fruit from January to March each year (given that the conditions are suitable). This means that it’s not the cheapest natural oil out there. A bottle is often still a lot cheaper than conventional skin or hair care products these days. As a fruit, marula fruit are incredibly potent health boosters and are said to contain roughly 8 times more vitamin C than an orange. So you can only imagine how healthy the concentrated oil must be! Marula Oil Promotes Hair Health. Probably one of the best-kept secrets in hair and beauty these days! Marula oil is pretty special, so don’t take this insider information lightly! It could mean all the difference between healthy, clean hair and a dry, irritable scalp. As far as nutrient content goes – marula oil is one of the best natural products you can keep in your hair care arsenal. In terms of its vitamin content, marula oil is rich in vitamin C. It is also rich in Vitamin E, which are both incredibly important natural antioxidants. In fact, as I mentioned before, the marula fruit contains roughly 8 times more vitamin C than an orange. Thia means it’s a seriously potent antioxidant. The inclusion of vitamin E makes it the ideal scalp and hair treatment. Due to the fact marula oil has a consistency that is very close to that of the natural oil that our bodies produce, which means that it penetrates the surface of the skin easily. This makes it ideal for getting much-needed nutrients, vitamins, minerals and ultimately hydration to hair follicles and the surface layer of the scalp. 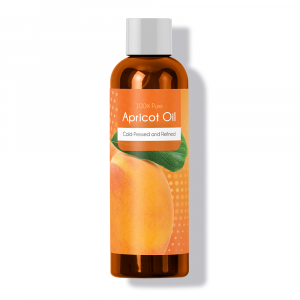 This makes it ideal for treating dry, flaky scalps and hair types whilst helping to penetrate the hair follicles from the root and nourishing them at the same time. At the same time, the rich antioxidant content of the oil helps to keep the hair and scalp protected against free radical molecules. The antioxidants trap the free radicals and allow your body to get rid of them without causing harm to your body. Besides keeping your hair and scalp free of germs and inflammation, the rich antioxidant content also helps to treat the signs of dandruff by balancing your hairs natural oils rather than simply washing them right off like conventional shampoos and anti-dandruff shampoos. This means that your hair is fresh, healthy and clean without feeling dry or irritable or leading to any contaminants occurring in your bloodstream (and ultimately causing more health issues down the line). 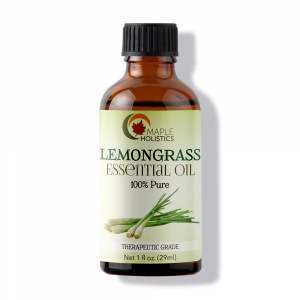 You can use this oil by itself as a moisturizer and cleansing agent or as part of a DIY shampoo treatment. This is the easiest way to get the best out this oil for your hair and scalp. I’ve struggled with oily skin for a long time. Due to that, I’ve struggled to find a skin care product that works well for my skin type in particular. This is largely because most the conventional skin care products that I’ve encountered so far, tend to contain petroleum-based ingredients which are simply horrible for any skin type. When you use petroleum-based products, you basically create a thin layer of oils that don’t get absorbed into your skin and don’t really moisturize it either. Instead, you’re left with a layer that dries your skin out over time, traps in bacteria and dirt (leading to blocked and inflamed pores otherwise known as acne) and does nothing to nourish or promote healthy cell growth or collagen production. Marula oil, on the other hand, is very close in consistency to that of the oils our body naturally produces. This means that it is easily and quickly absorbed into our skin. Then helping to hydrate and nourish from within where it counts, rather than just sitting on the surface of the skin. This makes the oil ideal as an overall moisturizer for a wide variety of different skin types. It can even help to restore dry, cracked skin as well as protect your skin against environmental aggressors such as sun damage, air pollutants and dry air (wind). It also has a mild odour which is really calming and will help to keep your skin smelling as fresh as it feels. With regards to acne, marula oil is an amazing carrier oil to use in conjunction with essential oils such as lavender, tea tree or eucalyptus oil. 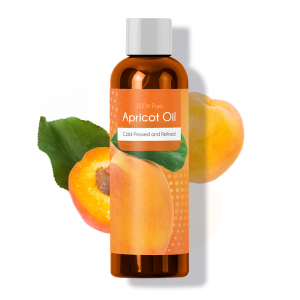 Due to the fact that it is loaded with vitamin C and E, it’s ideal for nourishing the skin and getting rid of free radicals – thus helping to prevent the onset of wrinkles in our skin. But these are also great at removing the harmful germs and bacteria that may infect blocked pores and cause swelling and inflammation on the surface of the skin, ultimately leading to acne sores. I personally prefer using a lavender oil scrub with sugar on my face before applying the marula oil and essential oil combination to my skin, much like a toner. By clearing your face with a cotton swab dabbed in the potent natural mixture. You help to clear out blocked pores, remove excess sebum oil and skin cells from the surface of your skin. Ultimately this keeps it clear whilst nourishing it with all the nutrients, vitamins and minerals it needs to stay healthier for longer. I made the switch to marula oil after using argan oil for a long time because it absorbs faster. Since doing so, I’ve noticed that my skin feels smooth and hydrated. Not as oily as it did when I was using argan oil. If you’re still stuck on conventional products – then it’s about time you made the change! These products will eventually only make your skin worse than before. As far as an acne treatment goes – marula oil is one of the best natural ingredients you can find to create your own facial cleansing range at home. But it’s important for me to stress that a skin issue such as acne should be approached from a holistic point of view. There are often other unseen factors at play that may cause or lead to acne. Everything from your diet to the amount of stress you’re dealing with on a daily basis should be taken into consideration. This can all affect your skin health and lead to acne. Always be sure to eat a healthy, balanced diet, drink lots of water to stay hydrated. Get enough sleep and avoid harmful chemicals in your products. Try to find ways to deal with your stress quickly and effectively rather than letting it weigh you down and wreak havoc on your health and skin in general. 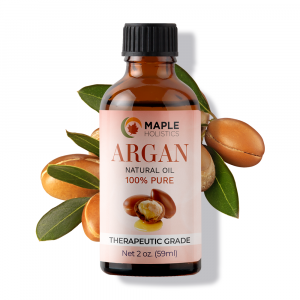 While there are a great deal of similarities between argan oil and marula oil, mainly in terms of their health benefits and their physical makeup/consistency. The truth is that there are few minor differences that help to set these oils apart. This means that one might be better at treating a variety of issues than the other and vice versa. First of all, it can be said that both argan and marula oil are incredibly well suited to treating hair and skin. They both have low comedogenic rating and ease of absorption. This means that both oils do not leave a layer on the surface of the skin. Both are also able to penetrate the surface of the skin quite easily. This means that both are suitable as moisturizers. They can be used effectively as carrier oils in hair and skin treatments without any complications. However, from here onwards the differences become a bit more apparent. When it comes to treating hair in specific, marula oil tends to fare better as an active ingredient in a DIY shampoo or conditioner recipe because it has 60% more antioxidants than argan oil. This means that it’s highly effective at removing free radicals. It can also help to keep the skin and scalp free of germs and bacteria that cause inflammation and dry scalps. So it’s a better antibacterial agent than argan oil. However, when it comes to general skin use or for conditioning and softening the skin and hair. Argan oil works quite well too! That doesn’t mean that marula oil isn’t great at doing this as well! Personally, I just prefer the scent and texture of argan oil in my hair or on my skin. Argan oil is quite a potent natural cicatrisant. This means that it helps skin to heal quicker. It can be used to reduce the appearance of wrinkles, stretch marks and acne scars quickly and efficiently. All the while helping to balance our natural oils and keep the skin hydrated and smooth. Ultimately, I’d recommend combining the two in a mixture or DIY recipe (think shampoo, moisturizer, soap etc.). This will help to maximise their healing abilities and harness the bulk of their natural healing properties. Basically, though I would say the marula oil works better on my hair and argan oil on my skin. The differences are minor and both can be interchanged just as easily. Due to the fact that marula trees are protected. The oil of their fruits can be a bit of challenge to find at a reasonable price in brick-and-mortar stores. This is largely because these stores have to markup the price in order to cover their expenses. Therefore, I would always recommend buying essential oils (or any natural products for that matter) online – unless you want to support your local co-op or health food store, which is also a good idea. Personally, I just find it easier to shop online as I can get exactly what I want. I do the research and save cash by lowering the overall cost of purchasing the product. So far I’ve been able to get everything I need from Amazon, but sometimes I like to go straight to the product’s manufacturer and buy directly from their website (as it’s usually a little cheaper this way). I’ve found that using Acure’s Marula Oil (30 ml at $10.28 without shipping) works just fine for me. It’s a great oil that’s cold-pressed. It is the cheapest in its category that I’ve found at commercial prices so far. However, if you want to shop around and get some options, there’s also The Ordinary’s Cold Pressed Virgin Marula Oil. This is a great product and has really stylish and simple packaging (might I add). However, this one will set you back around $16 (without shipping). You might want to weigh the options before you make your decision. Check out our features covering Cardamom Essential Oil and Peppermint Essential Oil while you’re here at Maple Holistics! Ultimately, I don’t think any personal natural or homoeopathic beauty and health care collection would be complete without marula oil. While it can be replaced by argan oil for general use, there are just some things that cannot be beaten. When it comes to the immense healing properties of marula oil, this is your gal! 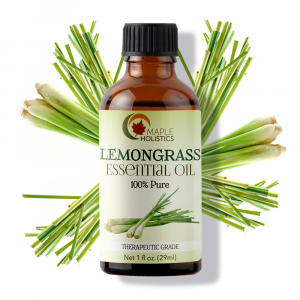 The rich antioxidant properties of this natural oil make it a real treasure. The rich nutrient and mineral content of this oil, combined with its fast-absorbing nature makes it a worthy investment for any skin type. It’s an ancient natural medicine that has long been kept a secret from mainstream health and beauty culture – until now. Now that it’s making more of a popular comeback in beauty circles and natural healthcare enthusiasts or professionals. It’s now easy to see why so many are scrambling to get their hands on a vial of this stuff. So don’t get left in the dust! Get your hands on some of this amazing natural product as soon as possible! So you, your skin and your hair will regret it!